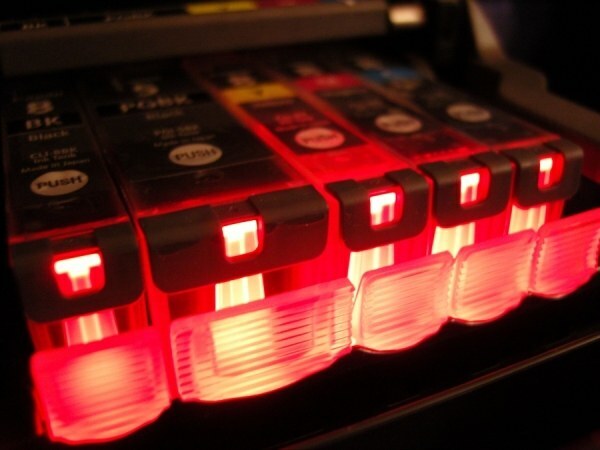 An inkjet printer is a computer peripheral device that is used to obtain high-quality color prints. In order for the system to work correctly, with the printer, you need to follow. The printer is not broken because of improper care, follow a few recommendations. Remember that the print head is the most vulnerable part of an inkjet printer, so give it maximum attention. If you rarely use a printer, the print head may deteriorate. Try to avoid it drying, once every two weeks turn on the printer and print at least a test page. There are printers whose design permits replacement of the print head in the home. Sometimes it is replaced together with the cartridge as the printer "Hewlett Packard". Do not try to remove the print head from the printer "Epson Stylus", better return equipment to service center. To get the print head from the HP printer, turn on the equipment, open the top cover, the carriage should move to the center. Then wait for complete stop of the device and tap the cartridge with your fingers. To extract the cartridge from the slot, pull up each in turn. Socket cartridges are framed with special steel clip. Lift the handle of this latch up and remove the print head from the carriage. Take a damp cloth, wipe the electrical contacts inside the device. The napkins can not be purchased separately, if you change the used device for a new print head - they will be in the kit. Keep in mind to wipe the electrical contacts only in one direction: either top-down or bottom-up. To clean the print head, remove it from the printer by following step # 3, put it on the table, covered with a paper towel. Prepare the syringe and the washing fluid. Purchase a special liquid, do not experiment with the tools of home manufacture. Keep in mind, the liquid should be warm, leave it at room temperature or warm up to 35 degrees. Gently squeeze contents of syringe inside of each compartment, the so-called fitting. Monitor the purification process, change the napkins as pollution. The washing fluid must circulate through all the channels of the fitting. For cartridges with integrated printhead expedient to apply a special ultrasonic device. The nozzles are cleaned by the ultrasonic waves.